We got it, the first review of the new 3 disc Wicker Man SE DVD. Sadly there are no new prints but there is an interesting new 50 minute documentary, plus a soundtrack CD, so it might be tempting for an upgrade. PS. stay tuned for more Werner Herzog reviews at the start of next week. Yes, its finally here – hours of reviewing and writing have gone into this new review of the Anchor Bay Herzog/Kinski boxset. One of the best films of all time, at least in my opinion – it is a haunting yet realistic story of madness and fever in the jungle with some incredible acting and directing. Another incredible film, a remake of the classic 1920 silent vampire film, Herzog’s production is scary and atmospheric in a way that no other vampire film has come close too. A lesser known entry, this film was shot in just a few days and is based on a play that is little known outside of Germany. However, it includes some powerful acting and interesting direction, so worth seeing. Herzog really moves a boat over a mountain in this exciting, although slightly rushed film. Kinski gives a rare happy performance. The last of the partnerships is this rather flatly directed film with an unimpressive plot. With the exception of some interesting archive shots, there is nothing new in this tribute documentary made by Herzog 8 years after Kinski’s death. We have new biographies of Klaus Kinski and composer Florian Fricke, plus an all new 2000 word biography of Werner Herzog himself. Stay tuned to this blog for some one-off Herzog film reviews over the next few days, including his latest production, Grizzly Man (2005), and watch out next week for our complete review of the 7 film Werner Herzog boxset from Anchor Bay USA. 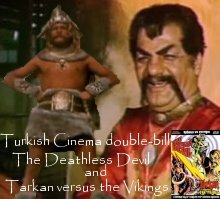 Turkish cinema – blog readers exclusive review! Enjoy, and don’t forget to e-mail with suggestions for new reviews and themes. Bava’s directoral debut is a well directed and very scary film, although the plot is a little creaky. A decent E-M-S R2 DVD. A pretty average peplum storyline is boosted by some strong direction and a good cast, including Christopher Lee. Entertaining. A good looking Fantoma/Image R1 DVD. Often plugged as Bava’s best horror film, his direction and subtle visual nuances are over-shadowed by a very poor plot. A decent looking E-M-S R2 DVD. A return to gothic horror with a rather generic story, loads of missed opportunities and uninspired direction. Decent looking E-M-S R2 DVD. Stay tuned for Werner Herzog reviews next week… and don’t forget to e-mail with any theme or review suggestions. 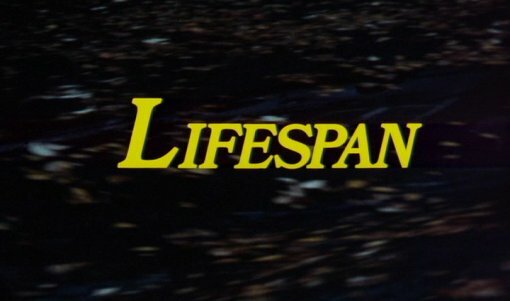 Lifespan (1974) – Science, immortality and Klaus Kinski…! Starring Klaus Kinski in a small role, and with a very intellegent and thought provoking plot, Lifespan (1974) is one of the most unique movies ever released. A dark, documentary-like sci-fi film it is almost incomparable to any other picture – too real to be a Herzog/Franco film, too strange to be a neo-realist picture, too dark and action free to be a mainstream film. Seemingly without a target audience, and very hard to promote, the film was almost forgotten upon initial release, but is now available on a good looking DVD from Mondo Macabro, with a good set of bonus features. 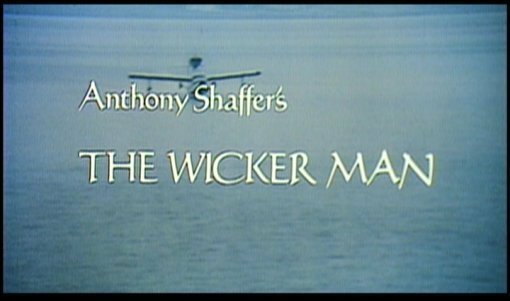 Editor’s notes: Don’t worry, the Bava reviews are still coming, but since they are taking slightly longer than expected, I decided to watch and review this DVD to keep the fans happy! Expect more random reviews of the exceedingly random Mondo Macabro DVDs over the next few months – stay tuned to this blog for more. Howdy film fans, whats coming up at your favourite* DVD review site this month? We’ve designated August as our Top Directors month, so we’ll be looking at the films and DVD releases of some of our favourite cult movie directors. This month, a focus on Italian horror director Mario Bava and the eclectic German director Werner Herzog. For Bava we’ll be looking at the new E-M-S German DVDs of three of his horror pictures, as well as his R1 entries very distinctive peplum entry Hercules in the Haunted World (1961), and the crazy Danger Diabolik (1968). For Herzog we’ll be taking a look at the 13 films available in the Anchor Bay boxsets, including his infamous work with Klaus Kinski , plus the single disc R1 releases of his latest film Grizzly Man and a starring role in Incident at Loch Ness. September is classic horror month, so keep your eyes open for that, and e-mail us any suggestions for reviews, themed months or anything else. You are currently browsing the Mondo Esoterica – Blog blog archives for August, 2006.